Fox News Channel and Fox Business news advertising sales 888-449-2526 to place ads! How can you advertise on the Fox News channel? Call us right now! Get rates, costs and pricing for all time slots, and we also place local cable campaigns for our clients. Please allow us to work on your Cable news ad campaign. Remnant and local rates also! We can provide you with information on how to Advertise on Fox News Channel and on Fox Business also. The Fox News Channel presents a variety of programming with up to 24 hours of live programming per daily. The programs are broadcast from Fox News headquarters in New York City in their street-side studio on Sixth Avenue in the west extension of Rockefeller Center. Other Fox programs are broadcast from Fox News’s studio in Washington, D.C., located on Capitol Hill across from Union Station, as well as in the FOX News Texas Studios in Las Colinas, Irving, Texas. Audio simulcasts of the channel are aired on XM Satellite Radio and Sirius Satellite Radio. Fox News also hosts a website with a number of political columnists and web-blogs. Fox News Channel continues to be the top rated cable channel in the USA. The listeners are higher income, active, mature and devoted to supporting the channel and it’s advertisers 100%. Let us help you access this amazing marketing tool at the lowest possible rates. ADVERTISE ON THESE SHOW NOW! Advertise your business or other offers on the top rated radio shows in the USA. Call 888-449-2526 today for rates and costs to advertise with the best. Local market spot advertising, National syndicated network advertising, celebrity host endorsements and major events. Advertise on any or all and see amazing results.You can ask for a free media plan and get our professional opinion on what your best options might be. Programmatic Radio advertising on iHeart radio stations and iHeart streaming radio – best rates and deals available here! 888-449-2526 now! Premiere Radio Networks, Inc., Now iHeart radio – (Formerly Clear Channel Communications} syndicates over 90 radio programs and services to more than 5,000 radio affiliations reaching over 190 million listeners weekly. Premiere Radio is the number one radio network in the country and features : Rush Limbaugh, Ryan Seacrest, Glenn Beck, Bob & Tom, Delilah, Steve Harvey, Blair Garner, George Noory, Sean Hannity, Elvis Duran, Buck Sexton and others. iHeart and Premier Radio Networks offers Talk, Entertainment, and sports programming. Ho Hum Productions is an independent ad agency and claims no affiliation with Premiere Radio Networks, Clear Channel Communications, any of their hosts, Radio Stations, affiliates or web based entities except as an independent ad agency and media buyer. We buy local radio station inventory and national spots on all of the iHeart and Premiere offerings in the Talk radio, news and entertainment venues. Call 888-449-2526 for a media schedule from our agency today! Call us at 888-449-2526 for opportunities to advertise on iHeart (Formerly Clear Channel stations) and Premier Radio Networks. Remnant and discounted rates and pricing available for some offers. 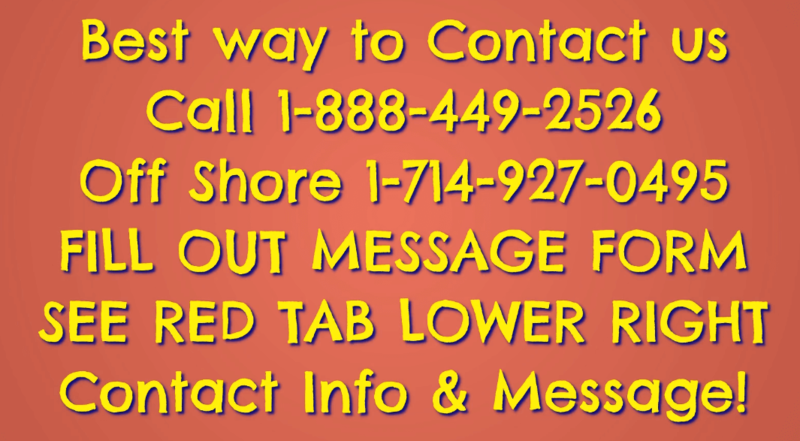 Call for current Rate Card for iHeart and Premiere Radio Stations and talk radio or entertainment shows! Call 888-449-2526– Advertise your offer on Salem radio. Market spot or national network access for advertisers. Salem Radio is based in Dallas, Texas. Salem Radio or SRN serves Christian-formatted and general market news/talk stations. To advertise on Salem radio stations and national radio shows call 888-559-2526. Ask about remnant rates and bulk discounts for multi-Market spot radio buys. Cheapest and best rates for Christian oriented radio in the USA. Get rates card, media kits for SRN programming, News, Talk, Christian Teaching, Music and more! We work directly with Salem reps to get you the best deals. SRN Weekend: weekend music programs such as the CCM Radio Magazine, Let Us Worship as well as specialties programs like The Dirt Doctor, National Geographic Weekend and Forever Young. Owns and operates approximately 95 radio stations including 58 in 23 of the top 25 radio markets. Produces and /or distributes over 190 hours of daily original programs over 2,000 affiliates nationwide. SRN has become one of the fastest growing full-service networks in the U.S., serving more than 2000 radio stations. Call us at 888-449-2526 to advertise on Salem Networks. Call 888-449-2526 to advertise on anything ESPN. Remnant and local discount rates for spot radio and TV available for some offers. ESPN Radio is heard on 750 affiliates. Major properties include weekday talk shows Mike & Mike in the Morning , (Formerly – The Herd with Colin Cowherd) and The Scott Van Pelt Show . Major events series include Major League Baseball and the World Series, NBA and The Finals and the Bowl Championship Series. Call 888-449-2526 for rates, rate card, media kits, costs, prices and audience data. Get your free media and advertising campaign planning done by professionals at no cost. Spanish-language ESPN Deportes Radio is heard on 35 stations, reaching 47% of the U.S. Hispanic audience. Many of the radio programs are simulcast on the various ESPN Television networks. ESPN.com , ESPNRadio.com & digital audio, fantasy games, ESPNDeportes.com, ESPNSoccernet.com, ESPNCricinfo.com, ESPNScrum.com, ESPNF1.com, and ScoreCenter give additional marketing opportunities. Call us at 888-449-2526 for opportunities to advertise on ESPN Radio or affiliate sites. International advertisers please fill out the form with email contact information –Thanks! Local advertising rates and costs starting at under $5.00 an ad for 30 second spots on selected radio and TV stations or networks. Cheapest advertising rates in the USA. Digital display advertising and streaming radio starting at under $2.00 per thousand CPM. National Radio and TV advertising we can place your ads ads at under $1.00 per ad! Call our advertising sales department for details 888-449-2526. Call 888-449-2526 to advertise on ESPN radio, TV, Online and print! or fill out the form on this page for fast service – Call today! Our Agency is proud to offer Talk Radio advertising & other formats & options for advertisers! We work with all major shows and brands. Call for a free media plan and current rates and prices for radio and TV advertising in any local market or for national reach. Call 888-449-2526 for rates and costs to advertise on Cumulus shows and stations. Remnant and discounted spot rates available in some markets for both local spot and network advertising offers. Cumulus and Citadel Broadcasting is now part of the Cumulus Media Networks switch to Westwood One. Announced on September 16, 2011, Cumulus Media, inc has completed the acquisition of Citadel Broadcasting making Citadel a wholly owned subsidiary of Cumulus. With the merger, Cumulus Media, inc is the largest pure play radio company in the United States and owns and operates more than 570 radio in 120 markets and a nationwide radio network serving over 4000 stations. Now most Properties operates under the Westwood One banner. Call Ho Hum Media Inc. We’re a top tier ad agency 888-449-2526 ready to assist you in planning a campaign and to advertise! Claim your free media plan and campaign analysis. Local and national campaigns are okay – we handle both. As America’s second largest operator of radio stations, Cumulus provides high-impact local marketing solutions in 68 metropolitan areas. Their strength is in their ability to introduce businesses of all sizes to communities of 14 million listeners via radio, digital media, targeted e-mail, and on-site promotions. 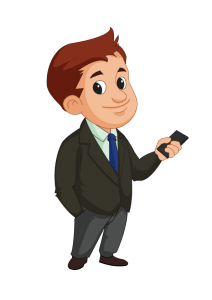 Advertising opportunities include streaming audio ads, video gateways, display, podcasting, on-line contesting, and mobile marketing opportunities. 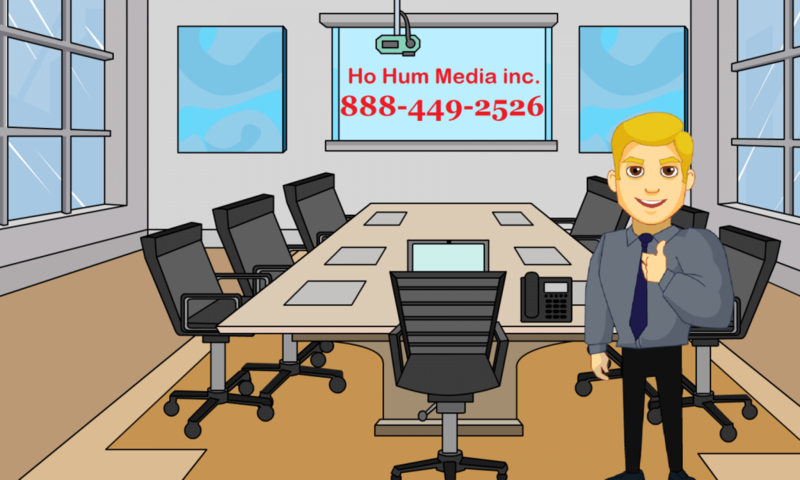 Call Ho Hum Media Inc. today at 888-449-2526 for rates, remnant rates, costs, prices, media kits and rates cards. Get rates and prices for radio and TV advertising in any market or for national advertising. If you are asking “How to advertise on CNN?” or “What does it cost to advertise on CNN?” you have found the right place! Cost and rates to advertise on CNN both nationally and locally. International CNNI Ad rates also available. Remnant rates available in some markets. Call 888-449-2526 now! CNN.com is among the world’s leaders in online news and information delivery. It is staffed 24 hours, seven days a week by a dedicated staff in CNN’s world headquarters in Atlanta, Georgia, and in bureaus worldwide. Relying heavily on CNN’s global team of almost 4,000 news professionals, CNN.com features the latest multimedia technologies, including live video streaming to audio packages and searchable archives of news features and background information. The site is updated continuously throughout the day. Get rates, costs and pricing today! Free media plan on request. Wake up to CNN’s morning show to catch the latest breaking news and trending stories you’ll want to know. Alisyn Camerota and John Berman bring you the latest news, weather and high interest stories to start your day. The latest news and information from around the world. The most interesting news stories of the day with anchor Kate Bolduan. John King features the top political stories, sourced by the best reporters. Jake Tapper covers all the day’s top stories around the country and the globe, from politics to money, sports to popular culture. Wolf Blitzer brings you the latest in political news and international events. Erin Burnett stays ahead of the headlines, delivering a show that’s in-depth and informative. Anderson Cooper takes you beyond the headlines with in-depth reporting and investigations. Chris Cuomo gets after it with newsmakers in Washington and around the world. Don Lemon brings you the biggest stories, newsmakers and spirited conversations of the day. Local cable TV buys made here for clients seeking local deals and low rates – Call us today! Remnant rates in local cable markets and national local spot rates available. We serve advertisers in all cities for local Cable TV – we partner with providers in markets in all 50 states with advertising agency services. Ad production, script writing and more! CNN and CNN.com are owned by their parent company Time-Warner inc. Call us at 888-449-2526 for opportunities to advertise on CNN or CNN.com or fill out the form please – Fast service! CNNI International advertising rates available here! Ho Hum Media Inc. was established as a national advertising agency in 1993. Call 888-449-2526 to buy advertising on any media format in the USA and Canada..
We currently specialize in both National and Local radio host endorsements and celebrity host sponsorship’s on the top tier radio shows both nationally and on radio stations in key markets. Remnant spot and national advertising rates, costs and prices offered here. We also specialize in National online display, banner and CPM based website and mobile advertising and media planning. Political advertising rates and professional campaign planning available to select clients. Free media plans and buying services. We are your one stop shop for radio,TV and online advertising. Rate cards and media kits- Canada too! Online newspapers and social media. Best advertising deals in the USA. Your ad campaign success is important to us. We partner with key media outlets in all 50 states and Canada. Rates negotiated for best result by our professional team. Advertise on TV, Satellite TV and National Radio. Host and celebrity endorsements available. Rates, remnants on popular syndicated and local radio or TV shows – Big name on air Talent- DR Campaigns and ad production – All budgets OK!